Aloha lovers! When Walt and Lillian Disney visited Hawaii multiple times in the 1930s and 1940s (before statehood status) Hello, Aloha and Hawaiian Holiday were the “souvenirs.” When they took a romantic vacation to Tahiti, Bora Bora, Papeete and Fifi in the 1960s, their fascination with all things South Seas seemed to be sealed. 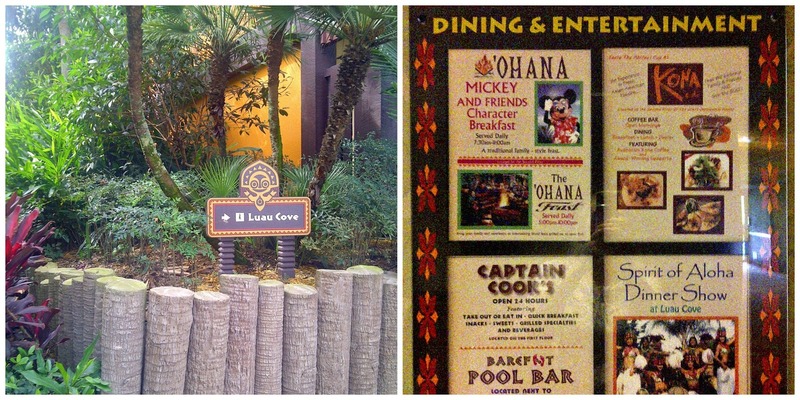 Disneyland’s Tahitian Terrace and The Enchanted Tiki Room are evidence. But prominent on Walt’s Florida Project drawing board was a Pacific Island get-away; a resort that he wanted to be so much more than a typical hotel. It was to be an escape to the islands that he and Lillian had fallen in love with. I think of them every time I take a stroll through the bamboo tiki torches. This destination is perfectly suited for duos, just like Walt and Lillian! 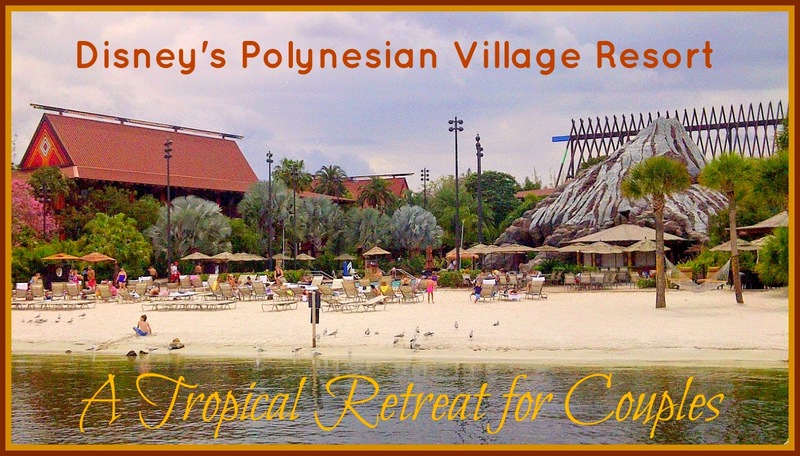 Disney’s Polynesian Village Resort for couples is the perfect tropical retreat. Every inch of this property is covered with lush, tropical foliage. Lava rocks, Polynesian rhythms in the background, the white sand beach, and a waterfall complete the romantic setting. Whether a Standard View or Lagoon View room, with their warm hues these rooms ooze comfort and casual elegance. 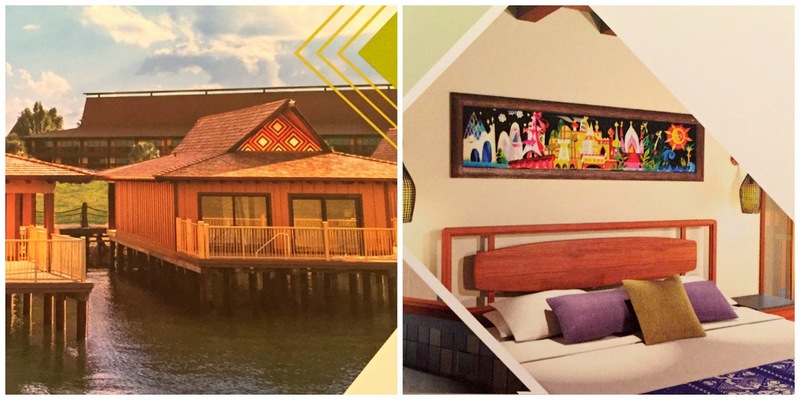 Disney’s Polynesian Village Resort for couples means the Honeymoon Suite is always a consideration! If you are one of the truly fortunates, you will secure one of the twenty over-the-water Bora Bora Bungalows for maximum privacy and magical views of Cinderella Castle, Seven Seas Lagoon, and Wishes; all from your private balcony How’s that for exotic?? 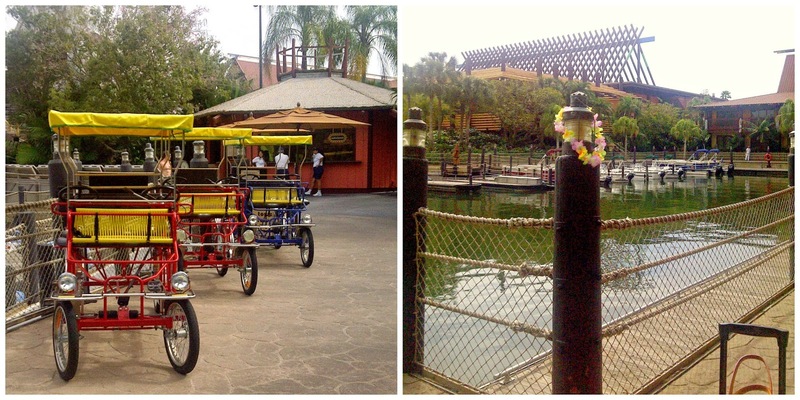 Shots taken from my hot-off-the-press Disney Vacation Club brochure. Share a Dole Whip from the Pineapple Lanai. To truly immerse yourself in your South Seas paradise the Spirit of Aloha Dinner Show in Luau Cove is a must. 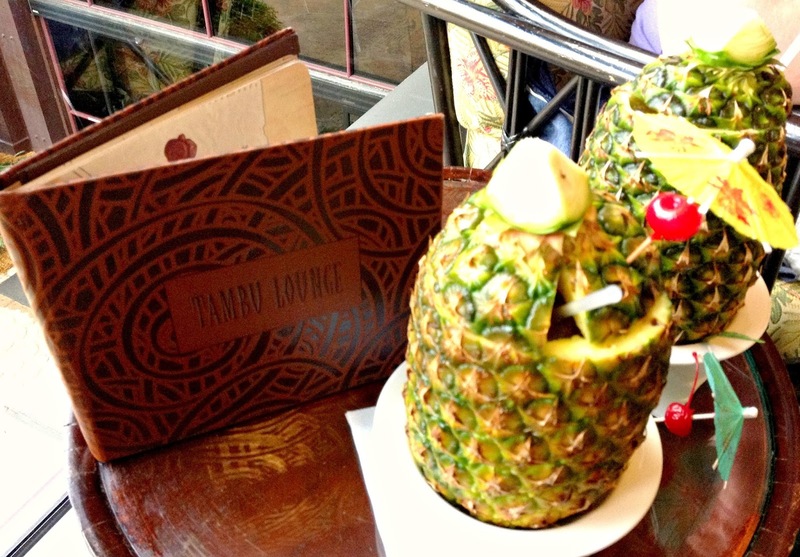 After the show, you can proudly display your lei at the Tambu Lounge and try an after dinner Lapu Lapu. If a good chuckle is more your desire, then head to the newly opened Trader Sam’s Grogg Grotto and Tiki Terrace for Adventureland kitsch and a libation that comes with its own routine. Uh-Oa for two! Spend a leisurely day lazing around. The newly modeled Lava Pool is a perfect spot to luxuriate in your surroundings; the zero-entry hot tub and Barefoot Pool Bar easily within reach. 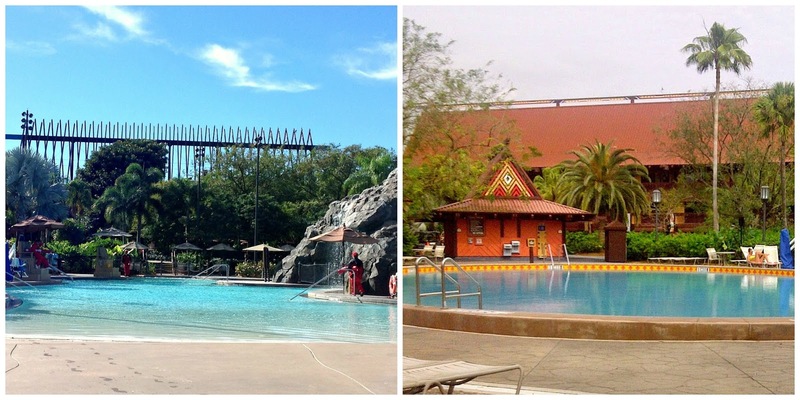 If you find the nearby Kikis Tikis Splash Area disrupts your mood, the Polynesian East Pool remains a quiet sanctuary. Be sure to start your evening with the torch lighting ceremony; held every evening, Tuesday through Saturday at 6 pm. It truly is something special and unique to this resort. To me, nothing says “love” like a moonlight stroll around Seven Seas Lagoon. So does a beach hammock or swing for prime fireworks viewing. But then again, so does a Specialty Cruise (perfect for those pixie dusted proposals guys! ), a surrey ride for two, Movies Under the Stars, a sailboat rental, a sprint along the lagoon on the New Balance Jogging Trail… You get the idea- fantasy is everywhere. 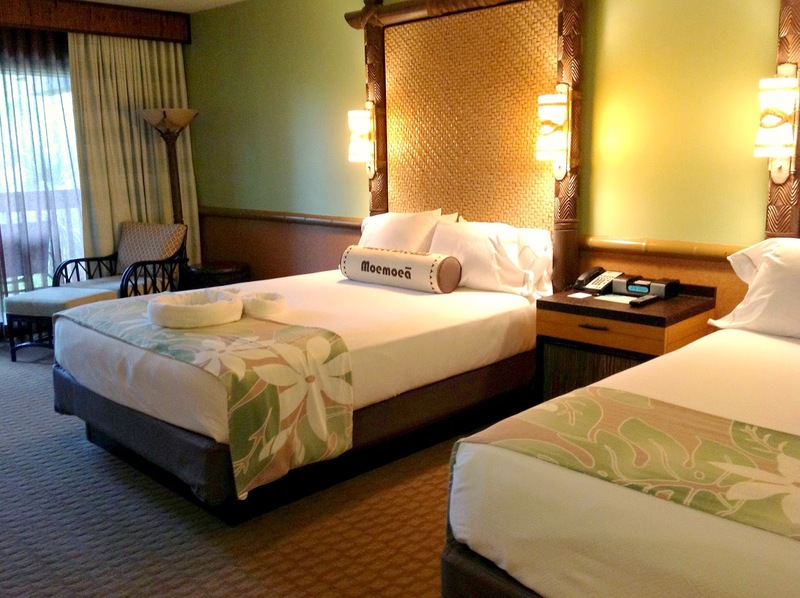 The absolute best part of Disney’s Polynesian Village Resort for couples is this: the sentimental traditions that are tailor made for future anniversary rendezvous. You know this is my dream resort. One of these days I'm going to come up with the money to afford it! It's such a homey atmosphere – so welcoming! Hawaii is a 13 hour flight away and this paradise is only 2! Heading there at the end of the year with my family. I think my husband and I will have to steal away a few hours to check out Trader Sams. And Walt knew that!! We too can't wait to get to Trader Sam's Grog Grotto- we won't get there until the November and I am chomping at the bit. Have a most magical getaway!!! This looks a place where a couple may need to venture into the parks to get the full Disney experience. A great place to stay! It certainly has that "away from it all" feeling Tim; the true beauty is that you can be in Magic Kingdom in 5 minutes. Talk about the best of all Worlds!! The Poly is number 1 on my Bucket List. I love everything tropical and I love visiting this resort any chance I can. I've done the The Spirit of Aloha Luau show a few times and it is my absolute favorite dinner show! Pam, I so agree with you; the luaus at Disney's Polynesian Village Resort have brought so much joy to our family through the years. From seeing my dad called on stage to do the hula in 1975, to bringing our kids to Mickey's Tropical Luau to sharing a table there with "Tony Soprano" several years ago, this dinner show will always be a Walt Disney World highlight for us! 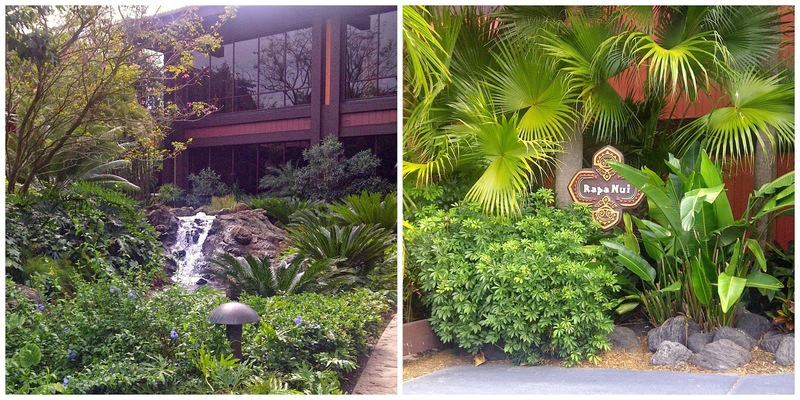 I've never stayed at the Polynesian – but I love that it has such ties to Walt's personality! I also love the idea of only having to walk a tiny bit after an 'Ohana' food coma, instead of having a 30 minute bus commute like I usually do. Those factors combined with the new bungalows and Trader Sam's are really making the Poly seem better and better every day! Ha! Who among us has been spared the 'Ohana food coma Morgan?! (And you're right, I should edit the post to include this perk. :D) We are waiting until all the construction walls are down and then we are THERE. Join me as I discover the prescriptions for a happy and full lifestyle across the decades. Physical therapist, doctoral candidate, special needs mom and advocate, late-in-life runner, married to a restaurateur. Wanderer, 29 countries and counting. I’m a Jeff Galloway Blogger! Great Wolf Lodge Supports Autism Awareness Month | Join the Pack!